The highly-anticipated Harry Potter game for mobile devices came out this week. Hogwarts Mystery is an adventure story-driven game where you take on the role of yourself as a student at Hogwarts. The game takes place sometime between the initial fall of Voldemort and when Harry turns 11 and can attend Hogwarts. You're given a backstory as the sibling of a brother who previously attended and was expelled from Hogwarts. As you unfold the story and discover what really happened, you'll advance through all 7 years at Hogwarts. You'll attend classes, learn spells and potions, and advance your character's stats and conversational skills. Despite an interesting premise, not all is well at Hogwarts. The developers have made some very controversial decisions surrounding the game's in-app purchases and how the gameplay works hard at pushing you towards participating in those microtransactions. To better tell this story, I thought I would interview my wife who is the biggest Harry Potter fan I know. She's also an avid player of games on her iPhone, and doesn't shy away from the types of games that use unscrupulous business practices. 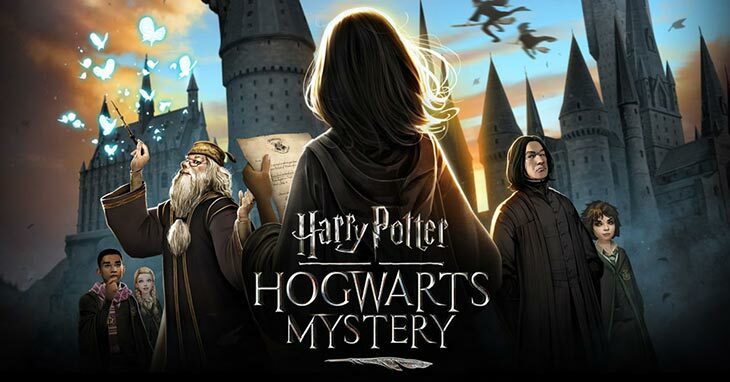 Keen: How are you enjoying Hogwarts Mystery overall? Mrs. Keen: I think it's really fun to attend classes and be put into a fairly realistic representation of what it would have been like to attend Hogwarts. Keen: As you've experienced already, the game has several mechanics designed to gate your playtime unless you spend any coin. Can you briefly describe those gates and how they impact your experience with Hogwarts Mystery? Mrs. Keen: In order to complete many tasks you have to expend "energy." Energy takes time to rebuild, so if you've depleted your energy resources then you'll be unable to continue playing. In addition to that, the quests are timed and if you do not accomplish the required steps within the time limit you will fail the quest. It forces you to either plan your time wisely for when you let yourself play, or to spend the money. I understand why they have this mechanic, in an effort to turn profit on this F2P game, however it can be frustrating because as you progress in the game tasks become more energy consuming -- meaning you may only get a chance to play for minutes before you run out of energy and have to put your phone aside to wait. Still, if you're determined not to spend money -- which I am -- you just plan for it. You can really enjoy the experience, just don't start a quest before bed or before your long work day (which is counter intuitive) because you run the risk of not regenerating energy and allocating that energy to complete the quest. The developers have planted a few easter eggs to help you regenerate energy in a pinch, but they're not always available and they don't provide that much energy. Keen: What are a few things you like about the game? Mrs. Keen: I like that there are moment when I'm given questions and I have the chance to select from a variety of answer choices that reflect the character I want to create. I like that these choices shape my character and the relationships that I have with other characters at Hogwarts. I also really like that it's an entirely new story, not just a repeat of Harry Potter. It places you within the wizarding world as a unique individual with your own story. Even though this is your own story, you still get to see some of the core characters from the stories that you know and love. I really like that. Keen: How many hours have you put into the game so far, and do you see yourself capable of playing this game for long? If so, can you give an approximation of how long? Mrs. Keen: I downloaded Hogwarts Mystery just a few days ago and have played every day. I guess you could say I've played for a few hours in total, but I've had to put my phone down and wait multiple hours for my energy to regenerate. I'm in year one, level six, which looks to be about halfway through year one. I can look ahead and see the chapters to know my progress. It looks like you'll go through the seven years. I'll play out the whole seven years. The only reason I wouldn't is if there continues to be a struggle with generating energy quickly enough to complete the tasks. if the later years are so demanding that I'm forced to either pay money or take the lowest grade reward for completing something, then that may get frustrating. However, at the current rate I think I'll happily play this throughout the whole story. I obviously love Harry Potter immensely, so that helps me enjoy it. Overall I think it's a great free to play game. Well there you have it! My wife is definitely playing regularly. I looked over several times today and she was playing on her phone, and even laughing at some of the story points. Looks like the in-app purchases and time gates are annoying, but not enough to keep a real Harry Potter fan away. I downloaded at release too! 🙂 I think it’s a neat game also, but holy crap, those micro transactions are really steep! I really do find it to be a cute and fun way to experience the Harry Potter world… I guess I was just expecting…more?